I am so pleased to learn that you are all feeling my separation. And so I am feeling the same here. These feelings have very great significance—namely that we are being gradually posted in real Krishna consciousness. 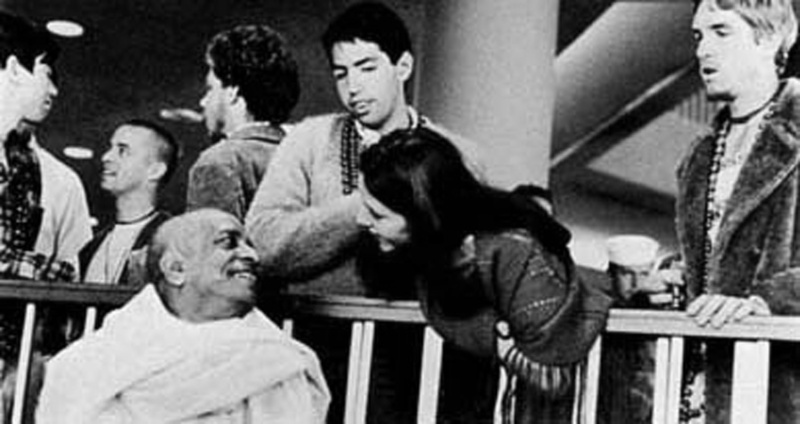 I am receiving many other letters from the devotees in San Francisco and telephonic calls indicating their feelings of separation, the basis of Lord Chaitanya’s mode of Krishna consciousness. The more we feel like that, the better for our advancement. However, from the physical point of view, as there is now difficulty in going to Montreal, I may return to San Francisco sometimes in the next month. Swamiji points out that any good typist can learn the art of Varitype very quickly. If I will type Bhagavad-gita and Back To Godhead, he will get the machine. Satsvarupa, Rayarama and I would solve the “printing problem.” He is prepared to invest $4,500 in a Varitype. Simultaneously, he is looking into opening branches in Baltimore and Boston. We consider this disgraceful, to our eternal shame that our spiritual master has to send to India to have his book published. But there’s no getting around the fact that commercial presses in the States want too much money for our budget. Brahmananda pleads with Swamiji to give us a little more time. Surely we will find some publisher who is interested. In late May, Kirtanananda leaves Montreal to visit Swamiji in New York. “I hear he’s a little sick,” he tells me on the phone. He and Janardan plan to stay only a few days, but once there, Kirtanananda decides to remain. He phones me again on May 30. Not knowing what to make of this, I tell no one. June 1: Kirtanananda phones again. I answer on the receiver behind the temple. He is most distressed. Swamiji is in the hospital. He has had some kind of stroke. Bit by bit, as Kirtanananda talks in a strained voice, the pieces fit together. We should have seen it coming. Swamiji had been having heart palpitations since our recording session in New York before Christmas. He was also drinking more water, indicating high blood sugar, diabetes. Weeping, almost inaudible over the long distance, Kirtanananda promises to keep us posted. I hang up the phone and stand dumbly for a moment, wondering what to do. In the temple, a few people are chanting. Lilavati is making garlands for Lord Jagannatha. Harsharani is scooping flour out of a barrel to make the evening’s chapatis. No one knows. I run out to Stanyan. The sun is bright. Some hippies are tossing frisbees across Frederick Street. I dash from apartment to apartment until I find Haridas and take him aside. He points to a photograph taped to the wall, the photo of Swamiji’s last look at the temple, his farewell look of infinite sadness. As we look at the photo, we cannot weep. Weeping in itself is a finite, inadequate release for an interior emptiness, the sense of terrible, premature loss. We feel that a whole spiritual atmosphere is leaving us. “Have you told the others?” Haridas asks. Stunned, Haridas and I wander to the park. I don’t want to see any of the devotees. My face must tell all. We sit at the park entrance on a bench and chant quietly, alone with our awful secret and countless unspeakable fears. Foremost, we fear that with Swamiji’s passing, the Hare Krishna movement will disintegrate. We have just begun; the very foundation has yet to be completed. Swamiji’s teachings may be lost. There are no books published apart from the few he brought from India, and even Bhagavad-gita is unfinished. I fear personally for myself. What will I do without his words, the kirtans, the little storefront temples, the quiet moments in his room, the casual conversations, the constant presence of Vrindaban and Lord Krishna? I fear return to chaos and lonely searching. How strange! I recall that Swamiji’s horoscope predicted this attack. Years earlier, an Indian astrologer had discerned some break there in his seventy-first year, some inevitable climax. In fact, that is to be his normal hour of death, the time fixed for him to leave the body. En route aboard the freighter Jaladhuta, a palmist told Swamiji that if he survives his seventy-first year, he will live many more years. The death crisis is in his palm and in the stars. But we are so young, so green, on such foreign ground for Vedic culture. Maya will surely absorb us like a sponge. We are now in no position to lose our spiritual father. Looking up from the park bench, I see children playing in the sprinkler and sunlit grass and wonder at the audacity of life to go on so blithely. I try to phone Kirtanananda in New York, but he’s at the hospital. I talk instead to Rayarama. Haridas and I assemble everyone in the temple and try to think of the least shocking way to put it. Haridas looks at me and nods. Janaki and Lilavati immediately burst into tears. This quickly spreads to the other girls. Sighing, I sit quietly, recalling that Socrates banished women from his deathbed in order to die in peace. Some of the boys begin asking details. There’s very little to say except that we’ve been requested to chant all night and pray to Lord Nrishingadev for Swamiji’s health. Lord Nrishingadev is a fierce incarnation of Krishna—half-lion, half-man—who descends to save His devotee Prahlad from Prahlad’s demoniac father Hiranyakashipu. After Nrishingadev kills Prahlad’s father, Prahlad recites the following prayer to pacify Him. It is a prayer we immediately begin chanting. “O my Lord, Your hands are very beautiful, like the lotus flower, but with Your long nails You have ripped apart the wasp Hiranyakashipu. Unto You, Lord of the universe, I offer my humble obeisances. We turn on the dim altar lights behind the Jagannatha Deities, light candles, and chant in the flickering shadows. It is solemn chanting and even more solemn dancing. The news quickly spreads down Haight Street, and soon the temple is crowded with visitors come to join our vigil and chant through the night. Mukunda and Janaki phone New York. No additional information. Kirtanananda is spending the night in the hospital beside Swamiji’s bed. No one else is being allowed in. Hospital regulations. Yes, there’s a vigil also in New York. Everyone’s chanting through the night. We chant past midnight. Most of the visitors leave, but none of us yet feel sleepy. The chanting overtakes us in waves. My mind wanders to Swamiji, to New York, to the future, to the past. I have to force my errant mind back into the temple to confront the present, to petition Sri Krishna to spare our master a little longer. And through the chanting we all feel Swamiji’s presence, insistent, purely spiritual. By two in the morning, we begin to feel sleepy. I change instruments just to keep awake, sometimes playing mridanga, sometimes cymbals or harmonium. Many dance to stay awake. The girls serve light prasadam—sliced apples and raisins. It is dangerous to sit next to the wall, an invitation to doze off. We are so frail. Only Arjuna, the pure devotee, is Gudakesa, conqueror of sleep. Between three and four, the most ecstatic hour, the brahma-muhurta hour before the dawn, we sense that if Swamiji is still alive, he will surely pull through. We sing. We chant on beads. We chant through the usual seven o’clock kirtan and into the late morning. Chanting fourteen hours nonstop, we cleanse the dust from the mind’s mirror. We sense Krishna and Swamiji everywhere. Surely now he is well! Just before noon, Kirtanananda phones to tell us that Swamiji is still living but is very, very weak. We should continue chanting. The doctors are running all kinds of tests. “What does he want to do?” I ask. I seize on this as good news and tell Haridas and Mukunda. There is some guarded optimism. But within we know that his body is old and has suffered a stroke. He can go at any moment. We still await the call that tells us. June 3. Swamiji has been in the hospital two days. “That sounds good,” I say. This news elates us all. The next day, Kirtanananda tells me that Swamiji is definitely gaining strength. But in the evening, Rayarama phones to say that Swamiji passed a bad day. Now it is touch and go. At times, he seems right on the brink of death. At times, he’s about to leave the hospital. Reports continue to conflict. We speculate: if he’s considering leaving the hospital, surely the worst must be over. But how extensive is the damage? Will he ever be able to lecture again, to write, to dance at kirtans in the park, to lead us on spiritual marathons until we drop? To be without him now is what we have tacitly feared from the beginning. He has been singlehandedly sweeping us along, rapidly transforming our lives with daily revelations. Yet so much is but intimated! 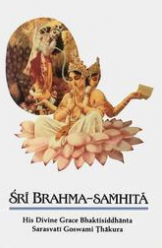 Bhagavad-gita As It Is still sits incomplete, and much remains untold: the twelve cantos of Srimad-Bhagavatam, Chaitanya-charitamrita, Vedanta-sutra, Bhakti-rasamrita-sindhu. He had planned to translate and annotate them all. But hasn’t he sent Krishna vibrating through the air? Rolling off our tongues? Hasn’t he brought Krishna Himself, the Person, to Second Avenue? Tompkins Square? Golden Gate Park? And now, after giving us a glimpse of Krishna, will he leave us? Despite protesting doctors, Swamiji checks out of the hospital June 8. Brahmananda and Kirtanananda immediately drive him to Matchless Gifts, where he pays obeisances to his spiritual master and Krishna and then leaves for the ocean bungalow in Long Branch. Now Kirtanananda writes that Swamiji “seems to be indestructible.” When he hears our recording of “Narada Muni,” he sits up in bed and starts to clap his hands. “Is that an American tune?” he asks. Swamiji wants to see a temple opened in Vancouver. The books! He is on the brink of death, and his only concern is printing Bhagavad-gita As It Is. His only reason for being in the material world is to spread Krishna consciousness, and books are the “big mridanga,” self-contained kirtans that defy both time and space, that endure and travel far. Only one diagnosis is certain: He has diabetes. The doctors have given him pills to try to control this, but he doesn’t want to take them. He wants to cure himself by diet. Depending on the latest reports from New York, the spirit of the San Francisco temple vacillates. The Rathayatra Car Festival is coming up July 9, just a few weeks away. We plan a parade down Haight Street to the park and ocean, but what specifically are we to do? “I don’t even know what Rathayatra is,” I protest. More confusion. Large carts? Haridas and I search through the public library and manage to find a book with photos of the Rathayatra cart used in Orissa, India. It is a large cart all right, made entirely of wood, with enormous wooden wheels dwarfing the man standing beside them. According to the book, people throw themselves under the wheels to be crushed and instantly liberated. The cart itself, as big as a galleon, is large enough to hold a hundred people. It has balustrades and a flower garlanded throne for the Deities. It would take hundreds of people to pull it, and the cops would no doubt consider it far too dangerous to let loose on San Francisco streets. Besides, we could never construct such a thing in three weeks. With great joy I receive a long letter from Swamiji dated June 25. We send Swamiji a Rathayatra announcement to encourage his coming. The New York devotees report that he is looking well and is even playing kartals, chanting, and lecturing a little. Perhaps the worst is really over! Kirtanananda announces. Everyone clusters about the phone. “Swamiji’s coming to Rathayatra!” Mukunda tells everyone. The next day, another phone call, and a somber Kirtanananda. This ping-ponging continues through June while we wonder what to do about Rathayatra. On weekends, Jayananda and I drive along the coast looking for a cottage where Swamiji can rest in the ocean air. At the end of June, Swamiji leaves the Long Branch bungalow and returns to the New York temple. After a scheduled hospital checkup, Kirtanananda phones us. For the first time, he sounds really happy. We act fast. Mukunda rents a beautiful beach house at Stinson Beach, a little resort just north of San Francisco. The estate, called Paradisio, is complete with palms, flora, enclosed patio, sliding windows and a lawn Buddha covered with bird droppings. Mukunda had to plead with the owners to get them down to two hundred a week. In New York, Swamiji remains in his apartment. Although still not attending kirtans, he is steadily recovering. We hear that he has initiated a new pastime—morning walks. At seven in the morning, he walks with devotees down Second Avenue to Fifth Street and then to First Avenue, where he sits on a bench to chant beads or just relax in the early morning air. He then walks back to Matchless Gifts. These walks become as much a ritual as any other. Wednesday, July 5, Kennedy Airport. Swamiji and Kirtanananda board Delta Airlines flight 621. Something is wrong with one of the wheels, and the plane is delayed about an hour. We wait in San Francisco with baskets of flowers.